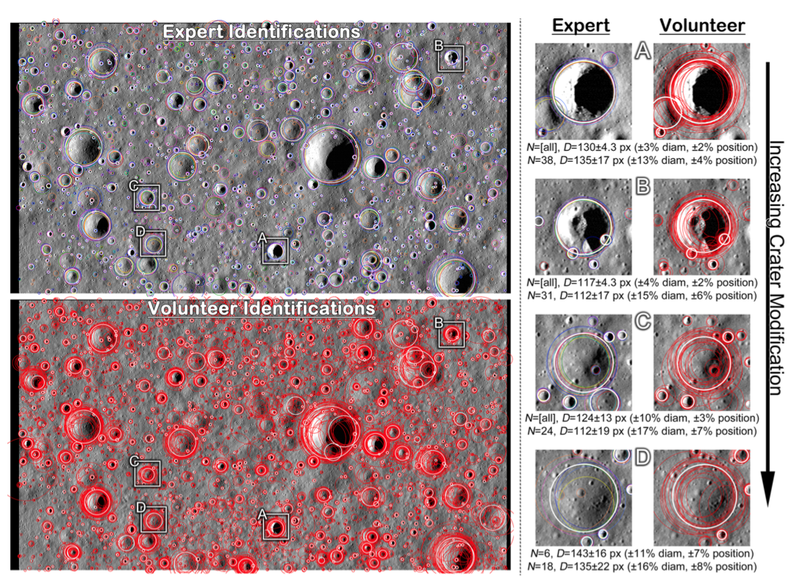 Newest research sez, volunteer citizen-scientists with the Moonmappers project do just as well as trained experts at mapping craters on the moon. This research is vital for understanding relative ages, odds of impact events, and how our solar system has evolved over time. So go on, head over to Cosmoquest, sign up, and start clicking. For SCIENCE! about the utility of confirming citizen scientists can accurately identify craters, and why it's a vital step for the project despite the "No duh" aspect of the conclusions. This is exactly the sort of collaborative journalism we're trying to get with the updated Kinja platform. I can't perma-link to the whole thread, so click to see all replies.